The Cuboid Lite from Joyetech has to be seen to be believed. 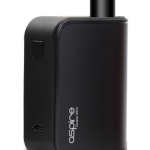 A 3000mAh battery, in a compact design, also includes a 1.45 inch TFT colour screen to display all your key vaping information and comes as a complete kit with the EXCEED D22 Tank. The Cuboid Lite packs a 3000mAh battery into an extremely compact design, ensuring it fits in your hand comfortably. 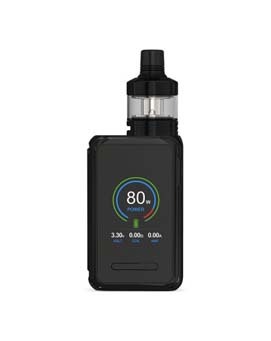 With just 3 buttons, the Cuboid Lite is extremely simple to use, but still includes a whole host of vaping technology, such as variable wattage, temperature control and power limit protection. Sitting in the centre of the body is a 1.45 inch TFT colour screen. 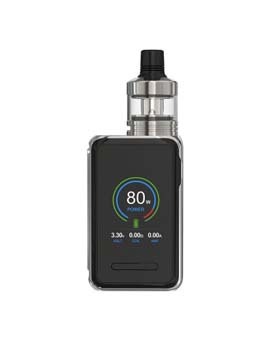 With an easy to use interface, the Cuboid Lite displays all your vaping information at a glance, including remaining battery life and current power or temperature settings. 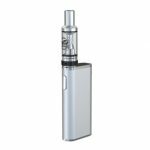 With a detachable structure for easy cleaning and maintenance, the EXCEED D22 Tank is designed with flavour in mind. The tank is compatible with 1.2ohm and 0.5ohm EX Atomizer Heads, and is therefore suitable for mouth to lung and direct lung vapers.